Pearson, the educational publishing company, has begun a global campaign to combat illiteracy with the actress and model Lily Cole as its ambassador. 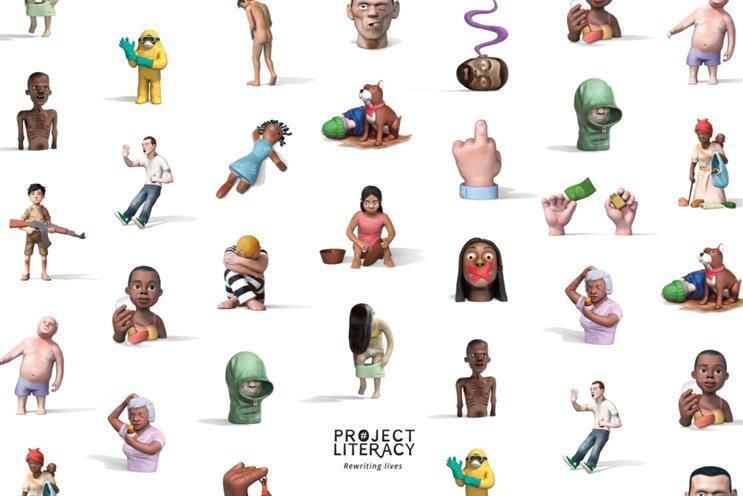 FCB Inferno was the creative agency behind the campaign, which is called Project Literacy. The campaign kicked off in the Churchill Room at the Houses of Parliament this morning (23 February) with Cole urging MPs to do more to tackle illiteracy. Pearson has brought together partners, including Unesco and Microsoft, for the campaign as it seeks to end a blight that costs the world around £760 billion a year, according to the World Literacy Foundation. The campaign says illiteracy is a significant contributor to disease and violence. Leading the creative campaign is a 90-second animated film, called the "alphabet of illiteracy", that runs through an A-Z of consequences associated with illiteracy, such as: "A is for aids, B is for bloodshed". The film features hand-crafted sculptures and the song is set to the melody of the 1948 song by Perry Como, A’ You’re Adorable. The film will be seeded on YouTube, Facebook, Unruly and Virool. There will also be social media elements to the campaign and each letter of the alphabet will have its own Instagram account that will post information on the issue that the Pearson film associates with that letter. Cole said in a statement: "What the alphabet of illiteracy demonstrates is that illiteracy is an invisible force that causes and sustains almost every single major problem humankind is grappling with. Which conversely, makes literacy a shining key of opportunity for addressing many of our remaining global issues." The work was written by Martin McAllister and art directed by Julia Ferrier. The models in the film were sculpted by Wilfrid Wood and animated by Red Knuckles, while 1stAveMachine was the production company. Pearson, which sold the Financial Times and its 50 per cent stake in The Economist last year to concentrate on educational publishing, appointed FCB Inferno to handle its illiteracy project after a competitive pitch in 2015. Frazer Gibney, the chief executive of FCB Inferno, said: "Illiteracy is at the root of the world's biggest issues. Project Literacy was established to put this problem at the top of the world’s social agenda, not least the United Nations. "This is a deliberately provocative campaign designed to create the strong reaction needed and we are proud to be supporting Pearson with such a great initiative".